We are a profession dedicated to creating a culture of quality to those we serve. Unfortunately, most people don't learn about long-term care and rehabilitation facilities until there is a crisis. At a time of emotional turmoil, many families face the added stress of: 1) learning how long-term care and rehabilitation services are provided and financed; and 2) finding an appropriate care facility that best meets the needs of their loved one. It is very important to consult your family member's primary care physician and plan ahead, since it does take some time to find the facility that's right for your family. And, since the cost of long-term care may not be covered by Medicare or traditional private health insurance, it's important to consider how you will pay for that care when it is needed. Long-term care centers provide 24-hour care for thousands of Utah citizens. These care centers provide care for many of the state's most fragile citizens¡ªour frail elderly and disabled. These facilities also provide short-term rehabilitative care for individuals who have been hospitalized and need a period of specialized medical care and/or therapies before returning home. Some families may feel guilty that they can no longer provide, or arrange for all the care that a loved one might need. It is important to remember that asking for help doesn't mean that you've stopped caring. Just the opposite. 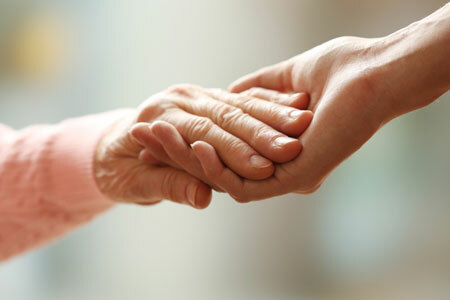 It means that you care enough to ensure that your loved one's needs are being met appropriately, should the time come that you and your family need a helping hand. We invite you to learn more about Utah's long-term care profession by exploring Utah Health Care Association's website, including resources designed to be a step-by-step guide for families.